‘Black Panther’ fans, here’s how this student FOOLED his professor with a presentation on Wakanda! A student gave an 11-minute long presentation on Wakanda from 'Black Panther'. With his stoical determination, he managed to fool his professor, who didn’t realise Wakanda was a fictional country. 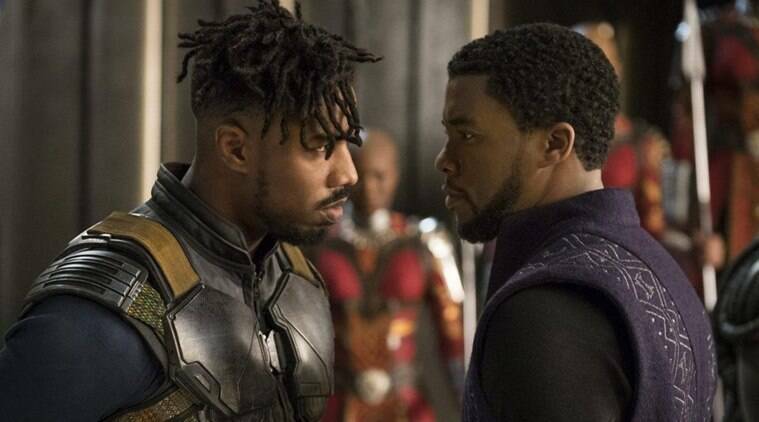 The superhero movie Black Panther not only become one of the greatest hits of 2018, it smashed records and earned $1 billion worldwide in less than a month. What’s more, it also became a celebration of African culture. While some watched the film numerous times, others proposed their beau during the screening. But, one Marvel-film buff took it to a whole new level by giving a presentation on Wakanda, its economy and power struggle! And, that’s not all. Believe it or not, his professor totally “bought” the figment of imagination! In a class assignment for his International Marketing course in college, Reddit user AlexeyShved1 gave an 11-minute long presentation to his classmates and professor. With his stoical determination, he managed to “fool” his professor, who didn’t realise that Wakanda was a fictional country. Sharing the video of his presentation on the micro-blogging site, he explained how the professor missed it. “She’s also the type of person who only watches tennis on TV so she had no clue what Black Panther was until we told her about the movie shortly afterwards,” he wrote in a reply to a comment. 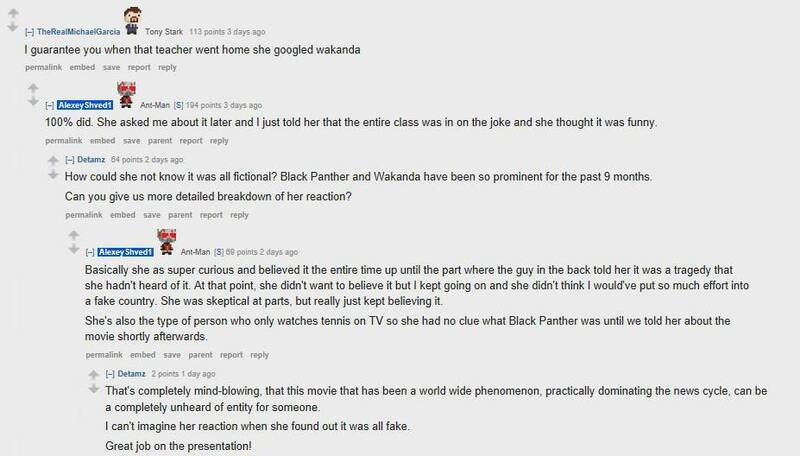 'Black Panther' fans, here's how this student FOOLED his professor with a presentation on Wakanda! 2 Couple booked BICYCLE for granddaughter; got a bearded dragon LIZARD free!